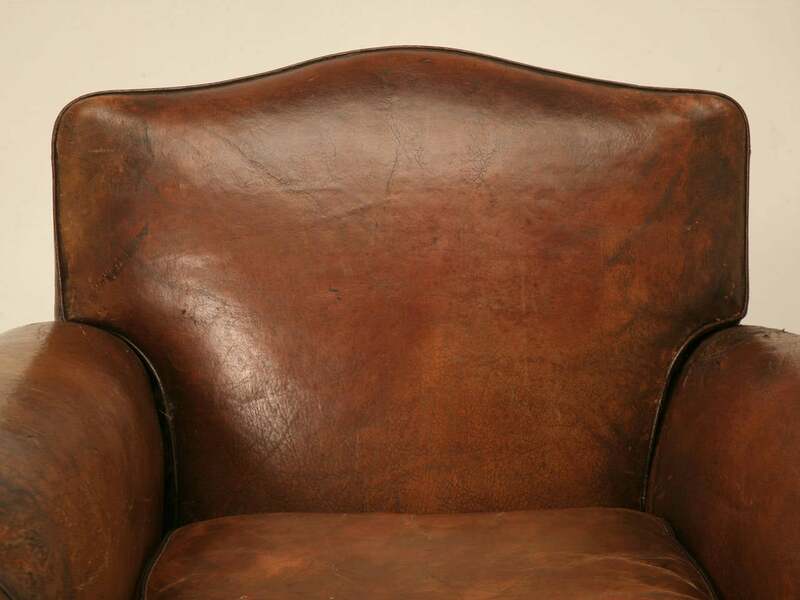 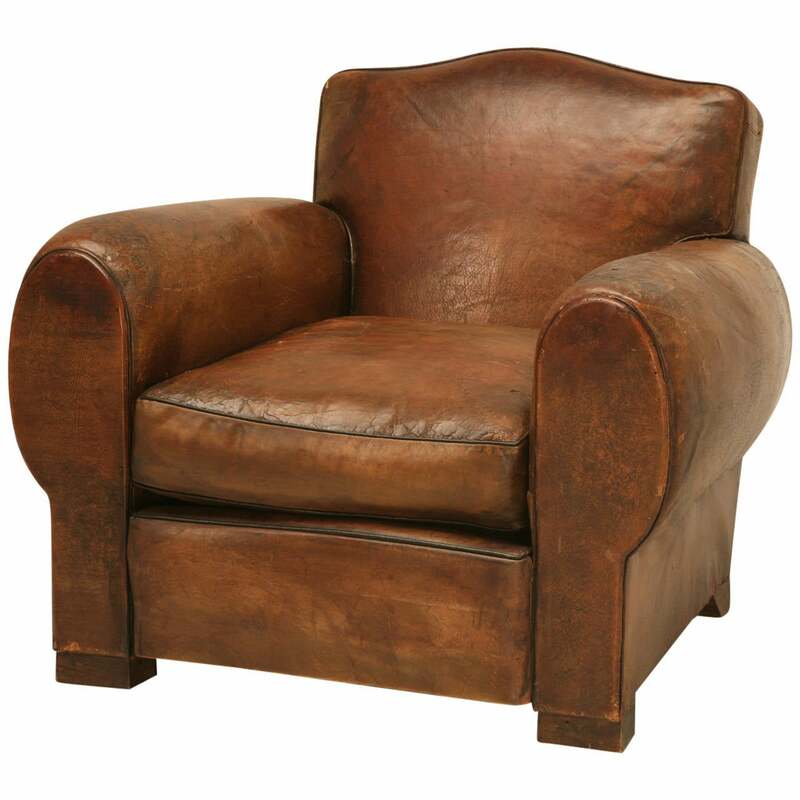 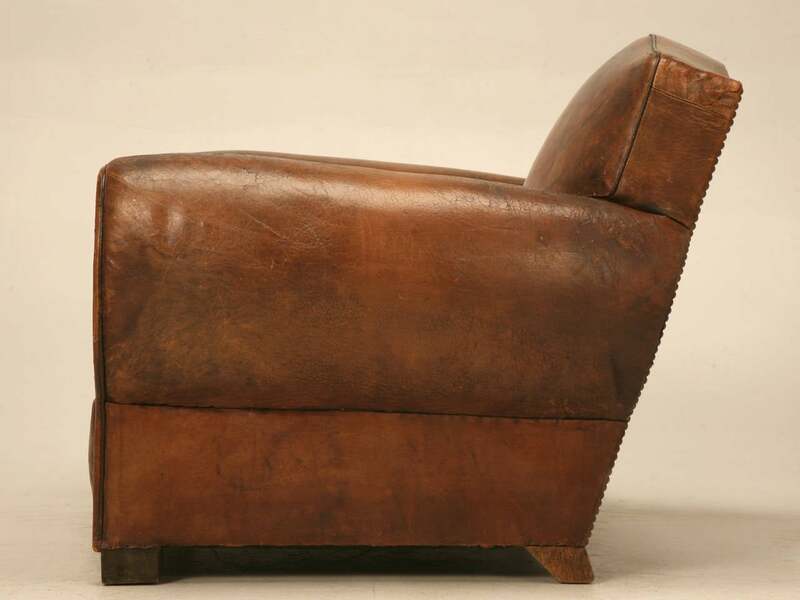 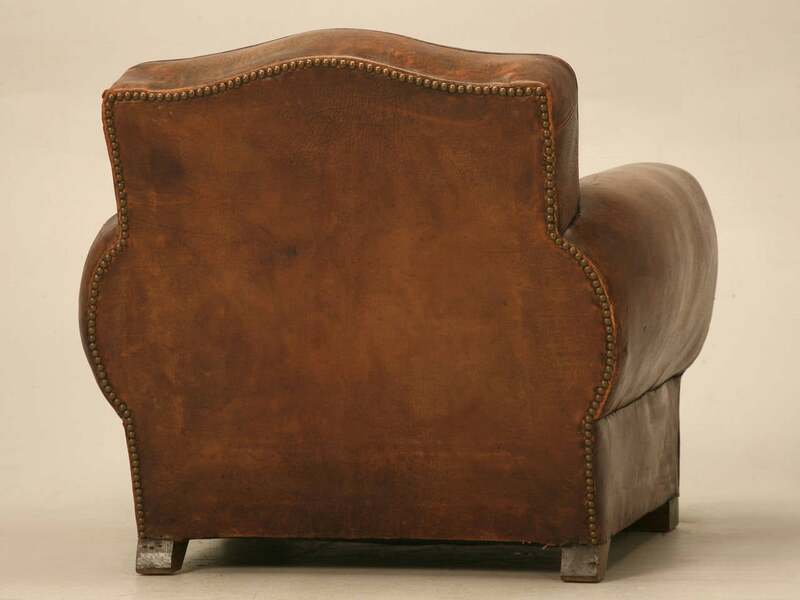 Circa 1930'2 French leather club chair. 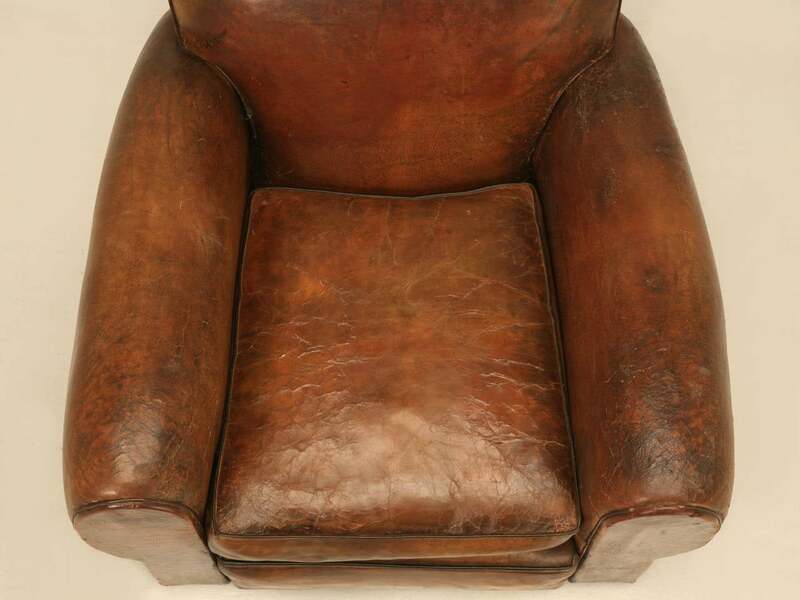 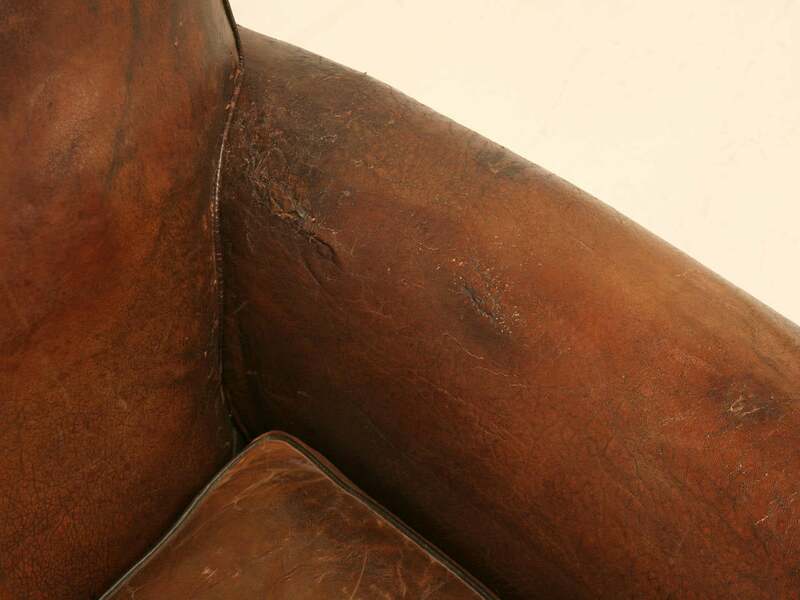 We rebuilt the chair from the bare frame up while not disturbing the original leather covering. 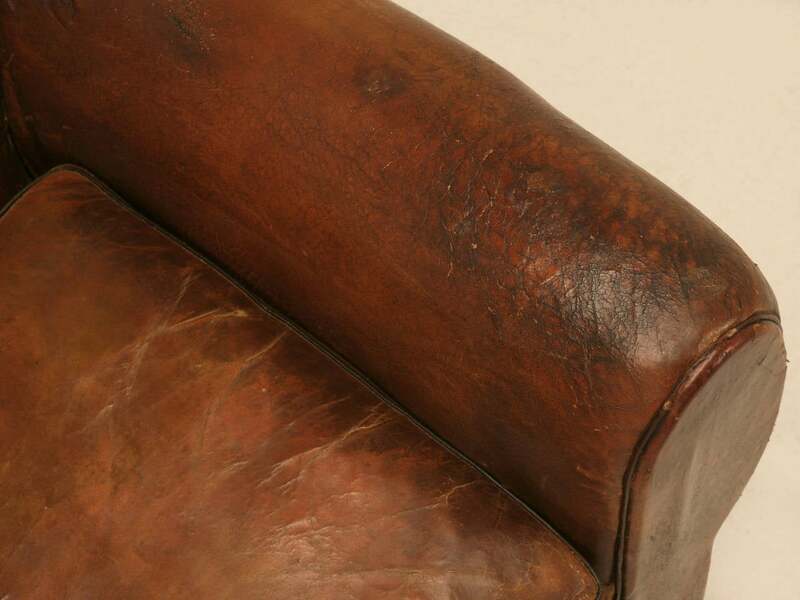 Springs were eight way hand tied, and any padding required was horsehair. 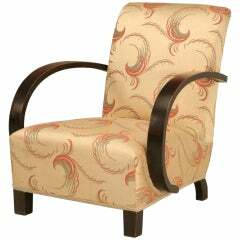 This particular model is larger and more comfortable than your typical club chair, since they were not intended for the American market. 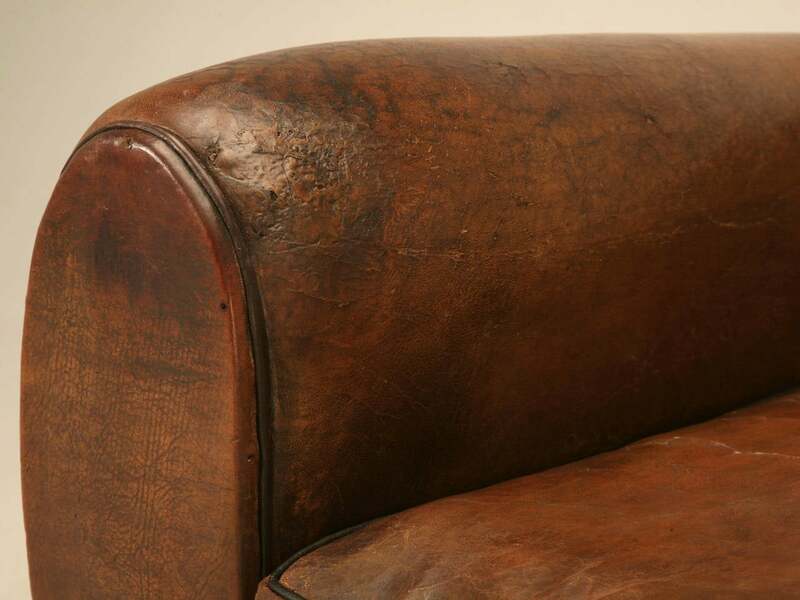 Restored structurally. 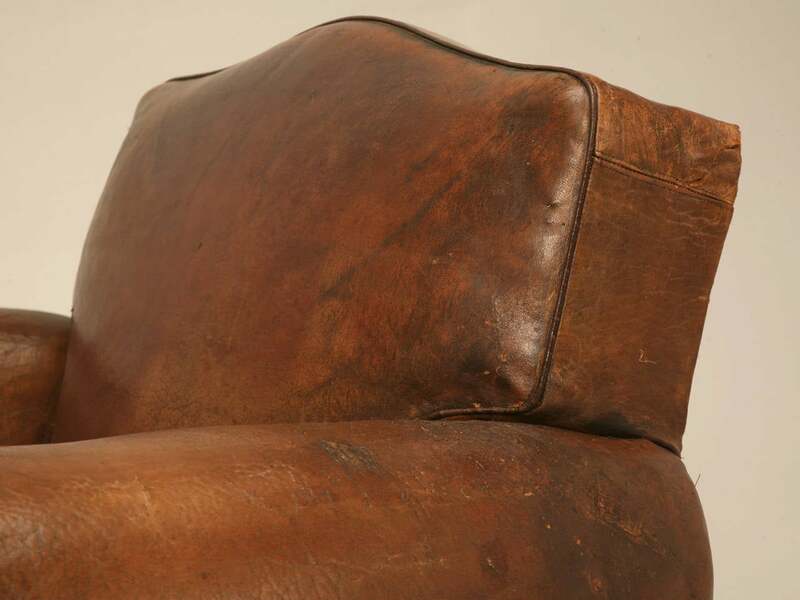 Leather is original. 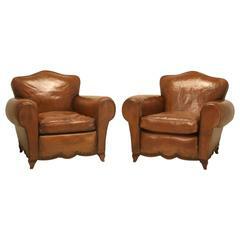 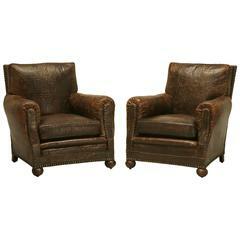 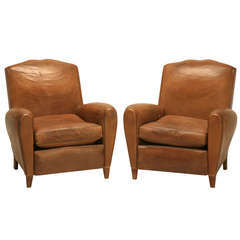 Gorgeous Italian pair of chairs in the style of Marco Zanuso newly upholstered in saddle colored leather. 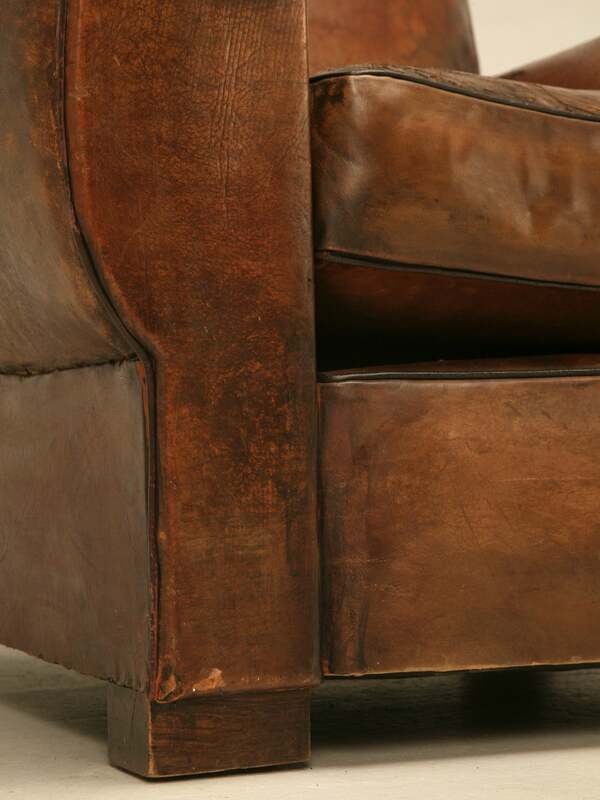 Newly polished brass legs.